Ruckus Networks joins Facebook's Express WiFi Certified ecosystem to help bring more people online. The master's degree will prepare managers to recognise and harness new digital technologies. The VivaTech 2019 Challenge conference is looking for agritech start-ups with AI-based solutions. The technology joint venture, Nacelle, will be a service provider in aviation and related sectors, providing IT operations, support and software development. AlumnusOnline aims to link schools with corporates that adopt and support educational institutions. The accredited postgraduate diploma will incorporate augmented reality and virtual reality. I-Innovate, Qberty and IFS introduce programmes to help students excel in the digital age. The bank adds a virtual card and Samsung Pay, which enables tap-to-pay, to its digital payments ecosystem. The company has processed over R500 million in orders through its mobile app in the last 12 months. Regina Pazvakavambwa is an experienced Journalist with a demonstrated history of working in the online media industry. She has worked for ITWeb for about four years. 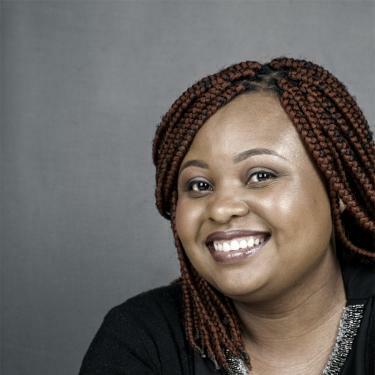 She is a strong media and communications professional with an Honours in Media Management focused in Communication Journalism, and related programmes. She is also a coffee and social media addict, loves photography and reading. She has ambitions of being a bestseller authorâ¦.writing her first page as we speak.